Thomas MacEntee over at High Definition Genealogy has written a very thought provoking article about the perceived age demographic in genealogy. He discusses a recent article in Family Tree Magazine that focuses on young genealogists while noticing that the surrounding advertisements target a much older generation. I definitely believe that the age perception garnered from a genealogy conference is not accurate. As Tina and some of the other commenters to the blog post have mentioned, money is an issue. The older generation is the one with the expendable money and free time to spend on such events. Young adults (gen-x, gen-y) are too poor or too busy trying to build a career or going to school. And young(ish!) families have huge time and budgetary constraints. Until recently I was an under 40 genealogist (oh, how quickly time slips by!). While money was not always the issue preventing me from attending a conference, time constraints and managing a family definitely were. Though I would love to attend a national conference I have yet to do so. The national genealogy conferences often come at times that are difficult for parents and gen-x/y students. The NGS conference typically occurs in April while school is still in session. Parents can't attend if they have K-12 students still in school. And most gen-x/y students are still attending college classes. Similar problems occur with the FGS conference, though it tends to vary its schedule in a more helpful way. Often FGS is held the same week as the start of K-12 school, a particularly stressful (yet joyous!) time for parents. This year however, it was held a few weeks earlier in August rather than September which was most helpful. Until the national conference organizers are willing to change the dates of the conferences the demographic won't change. I think the same thing applies to magazine subscriptions. The older generation has the extra income to spend on such things. The younger folks, on the one hand get their information more from the internet rather than printed material, and on the other, they also seek out free sources on the internet to save money. Where can we find an accurate metric measurement? A demographic breakdown of Ancestry.com subscribers would probably provide a more accurate view of genealogists but it would still be skewed more toward the folks that have money. And it would exclude all the users who access Ancestry.com at libraries. I don't believe there is any one source that can provide an accurate assessment of who genealogists are. The genealogical arena is broken down into too many "channels", in much the same way that the main stream news media shifted over the years from three major network channels to an information free-or-all on the internet. For instance, if we could analyze the viewers of Roots Television perhaps we would discover a much younger demographic and find those genealogists who prefer to absorb information through video. Instead of analyzing traditional venues for a clue to genealogical demographics, perhaps the question we should be asking is where are today's genealogists getting their information? And what are they looking for while they are there? Love genealogy but looking for something more? Do you love genealogy? The hunt is addicting and success is even more exhilarating. But sometimes it can be frustrating too. There reaches a point when genealogists need something more. For me that came in the form of the ProGen Study group. This study group allows genealogists to work in small groups to expand their knowledge, thus sharing and growing with their peers, all the while learning about genealogy from the "master source" - Professional Genealogy: A Manual for Researchers, Writers, Editors, Lecturers and Librarians, edited by Elizabeth Shown Mills. The project is coordinated with the very able leadership of genealogist Angela Packer McGhie. Now don't get scared away that it says Professional Genealogy. You can participate even you don't want to take clients. Perhaps you'd just like to higher level skills to track your ancestors. When I participated in ProGen I believe it was ProGen 5. Each group session is numbered based on which "generation" of the group it is. So what makes ProGen so great? Well, it's the people. Each group is small, say around 6 people. Each group also has a leader and there is a moderator who is typically a Certified Genealogist. Every month the group reads a chapter from the book Professional Genealogy and then there is an assignment to complete based on the chapter. Later in the month the participants get together online for a discussion of the chapter and the assignment. Since this is a peer-based program assignments are shared with each group member so that they can comment and learn from each other. I found the interactions with the other group members to be one of the most satisfactory parts of the program. I developed a wonderful group of colleagues. And the discipline of reading and completing an assignment each month enriched my genealogical skills. So if you are looking for something more head over to the ProGen website to find out further information. When I took the class it was free. I have heard that they are now charging $38 but there is no indication of that on the website. 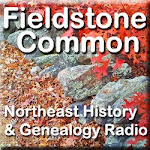 Where do genealogists meet on the internet? A few years ago to find me on the internet you needn't look further than the Rootsweb TGF or old APG lists. After some continued bickering on those lists I stopped following them, only to check in periodically. Lately I've been spending more time on Facebook. I find that the interactions on Facebook suite my personality and I like the way multiple people can join a conversation. Seeing photos of people's faces is an advantage too. Somehow it's just more personal. Recently, I decided to give the TGF list a try again. I would pop in over there to see what was going on. Do you know what I discovered? Some of my Facebook friends who don't say much on Facebook have a whole lot to say on the TGF list. That got me thinking. Where are genealogists "meeting up" these days on the web? And what is their preferred place to discuss what's on their mind? In the "old days" it was all about the APG list. Then the TGF list came along and a lot of folks migrated over there. But now there are lots of options - Facebook, Twitter, GenealogyWise, Second Life, LinkedIn and old fashioned regular email. discussion and ideas are shared there as well. So where do genealogists meet now? Is there one place? Is the community segmented so that only the most devoted follow all the possible outlets? One of my Facebook friends announced today that she is going to have two Facebook accounts - one for family and friends and another one for genealogists. I tried the two Facebook account scenario once and it didn't work well for me (learning how to use groups in Facebook properly did, but that's a topic for another blog post). Is what she is doing further segmenting genealogy and genealogists? Where is our community today and what is the glue that sticks it together? I'm interested in hearing your thoughts on this. On Tuesday night I spoke at the Southington (CT) Genealogical Society. I finished setting up early and found myself with some extra time to chat and check out their offerings. One of the things I came across was a notebook of previous talks. This book was made out of a 3-ring binder and filled with sheet protectors. The society makes a uniform promotional flyer for each talk which is perfect for a divider sheet between the various information. Behind each flyer is the handout from the speaker and any other tidbits they may have provided such as articles or a promotional tri-fold. If a society member sees something they like, there is a sign up form. At the next meeting they receive their copies. I think this binder, the first of its kind I've ever seen at a society meeting, is wonderful for so many reasons. It serves as a constant reminder for all the great programs the society has and acts as an organizational tool as well. Not only that but it shows new and prospective members just what kind of quality programing they can expect. From a speakers point of view, it's nice to be remembered past the few hours spent together on one evening. And last of all it provides an archival record of what the society has done. I was so impressed by it. I hope other societies will considering making one as well. The US Federal Census can be a great place to have a chuckle in between serious, in-depth research. Likewise the NGSQ has some real ticklers in between its otherwise complex articles. For instance, in the June 2010 NGSQ there is a brief one page article called "A Case of Last but not Least" (page 120) contributed by Stephen Wayne Turner. He reveals that most of the children in one family are named some variation of the name "Bud." While that is funny enough, his analysis of other censuses and unraveling of what is going on is amusing as well. Recently I've been reading Who Do You Think You Are?, the companion book to the NBC series by Megan Smolenyak. On page 77 she has reprinted the "Top Ten Unhappily Named Americans of 1880" which was a blog post originally appearing on The Genealogue by Chris Dunham. On Facebook yesterday, blogger Bill West shared some funny treatment to some of his family names. He wrote,"My greatgreatgranduncle Fernando Ellingwood is listed as Frenda, his daughter Amelda as Amenda and son Manley as Amendley." What about you? Have you had your family names morphed into amusing counterfeits, whether intentionally or not? If so, let me know about them. I'm ready for some more chuckles. A New Genre for Genealogy Books? Not long ago I finished reading "The Journey Takers" by Leslie Albrecht. This book is unlike anything I've read before - part genealogy, part narrative non-fiction, part memoir. It was a fascinating look into Albrecht's ancestry as well as her present life. And well documented to boot. The latest issue (Summer 2010) of American Ancestors by the New England Historic Genealogical Society (NEHGS) features a book (p. 38) called "The Obermeyers: A History of a Jewish Family in Germany and America, 1618-2009" by Kenneth Libo and Michael Feldberg. I haven't read the book yet but Lynn Betlock describes it like this: "Information on early generations reflects a range of historical and genealogical sources, while twentieth-century family members are brought to life through first-person accounts and reminiscences." Part one of the book focuses on the family's life in Germany. Part two describes their more recent life in the United States. Betlock puts into print exactly what I've been thinking about when she says "Genealogists often want their books to distill and document their research for posterity - and at the same time provide an engaging read for close family members." More and more we are seeing this combination of the past and the present with books that are written for a wide audience but are definitely more personal in nature. Is there a word for this new genre? If so, I'd like to know what it is. Also, if you have read any other books that fit into this category please let me know. I think this could be the wave of the future for genealogy books. I'm a little slow when it comes to reading some of my journals. Typically I read my NGSQ right away. This summer has seen me reading it more casually as I wait out swimming lessons poolside. I like the NGSQ because I always learn something. That's what makes it my favorite genealogy journal. Today I read an article from the June 2010 NGSQ called "Johann Henrich Klocke of Lippe-Detmold: An Identity Hidden by a German Farm Name" by Carolyn L. Whitton, CG. Now I have to admit to you that I know nothing about German research. Honestly, I know nothing about European research with a slight exception for the UK. Really, I mean nothing, it kind of scares me. But part of the fun of genealogy for me is reading about topics that I know absolutely nothing about. I always find it interesting. Well, I was floored when I read this article and learned about German Farm names. I never knew there was such a thing. In the back of my mind I made a mental note for my German ancestors in case I am ever brave enough to research them. This article introduced to me the concept that a man could give away his own surnames and take his wife's if she happens to be a farm owner and he is not. I'm sure that is an over simplification of what is really going on. Carolyn Whitton did a thorough and excellent job of explaining what a farm name is and how to use it in German research and provided a complicated example to boot. And now I am an inch closer to trying to research my German ancestors. But honestly, I think it will take a little bit bigger push than that. Recently I have been working on a house history of an 18th century colonial in Millis, Massachusetts. This project was for a monthly column called “Old House Secrets” which appears in a local newspaper. Public record listed this property as being built around 1790. A conflicting document from the Massachusetts Historical Commission listed the date as 1760. While it wasn’t my goal to find out the exact date the house was built, I wanted to get back as far as possible. After quite a bit of work I broke the “year 1800” barrier. The earliest record I found at the Norfolk County Registry of deeds was a 1795 deed transferring the property. This is not the earliest deed for the property however. Norfolk County was created from Suffolk County in 1794. Earlier deeds could be found at the Massachusetts State Archives in Boston. For this article, though, I had run out of time and budget to go further. The 1795 deed transferred the property from Ichabod Seaver to Tisdale Puffer. For my house history research I like to do genealogical sleuthing to discover more information about the people who lived inside the home. I wanted to know as much as possible about Ichabod Seaver. The deed itself provided me with his name, his wife’s name (Rebecca), and his occupation (cordwainer). I can also infer from the deed that in 1795 and for sometime earlier he resided in Millis, Massachusetts. My first attempt was a broad Google search of the terms “Ichabod Seaver” +Rebecca. I like to include names in quotations so that Google will return only hits with that exact name. The +Rebecca ensured that the name Rebecca would also be found on the same page. The site I was brought to was called “The Descendants of Caleb Seaver.” There I found my Ichabod, with his wife, Rebecca, and information about their marriage and children. I floated to the top of the page to see who the site was created by and what did I find – Genea-Musings’ very own Randy Seaver. When I started my research, the name Seaver never triggered any bells in my mind. Though previously, I had located a survey sheet on another Seaver house in Massachusetts for Randy. Running across Randy while doing my recent house history research was fun. It was almost like discovering a long lost cousin. Typically I don’t research the whole lives of my subjects, just the years they lived in the house. But with Ichabod Seaver I’ve decided to go further. Perhaps it was the combination of a cool sounding name, bumping into a colleague and the connection to my home county. Maybe after I have finished compiling all the research you’ll see it here as another blog post. Have ancestors with confounding common names? Look to a deed for help. Some ancestors with names like John Smith can seem too difficult to research. An internet search of that name can provide thousands of results. Without additional criteria such as birth and death dates or locations the search can be unwieldy. However, if you know where your ancestor resided at at any point in their adult lives then deeds are perhaps just the tool you need to sort it out. As a house historian, I frequently research people who owned a house at a particular time. I jump into the middle of their lives without knowing anything about where they were born or died. This can make research a real challenge. Luckily, deeds provide some clues that make it much easier for both the genealogist and the house historian. Depending on the time period, the transfer of property may have required a release of dower rights. Dower is the part of the husband’s estate that the wife is entitled to after his death. To ensure that husbands didn’t sell property to deprive their wives of their dower, the wife’s release was required for the deed. Typically a dower release will appear towards the very end of a deed. Armed with the name of the wife, you can separate your John Smith from many others. I recently researched a 1795 deed where Ichabod Seaver sold property to Tisdale Puffer (I did not make these names up!). In the dower release Ichabod’s wife’s name was listed as Rebeccah. It was just the information I needed to distinguish him from any other potential candidates. Deeds sometimes provide the name of a spouse even without a dower release. If the property is held jointly, her name will be mentioned as part of the deed. A second place you might find it is at the beginning of a deed where the parties involved in the transfer of property are listed. In this location you might find spouses or parents names listed to further identify the individuals. Another helpful tool you can find in a deed is the listing of occupations. Deeds from the early 19th and 18th centuries frequently listed the occupations of the parties involved in the property transfer. In the case of Ichabod Seaver, he was noted as being a cordwainer (someone who made shoes). Tisdale Puffer happened to be a cordwainer as well. In 1801 when Puffer sold the property, the buyer was Nahum Thayer, a blacksmith. Now you not only have something with which to differentiate your ancestor by in other documents but you’ve learned an interesting fact about your ancestor as well. The next time you get stuck tracing your ancestor with a common name, consider searching for his land records and see if you can find a deed to help you.